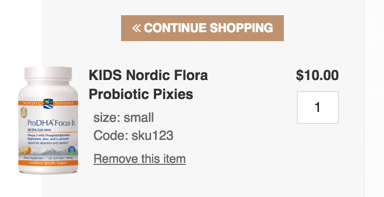 The product images in the cart are blurry and poorly resized. Are there any dev tips for keeping them sharp and crisp? Is there an ideal size? My test product images were very large and hi-rez to show how poorly they render. Any tips and making the product images look their best in cart? Is that the same thing you're seeing? Or something different? We don't do any actual processing of images in the cart - we simply cache them in whatever form they're passed to the cart in, and they're then scaled to fit within the space allowed using CSS. Is there a recommend size you recommend as a guideline? I know images are scaled down so any size will technically work however I assume there is a good starting size. Your shot does look significantly better. Any ideas? If you maintain a width of around 350px for the images - it should ensure that they display nicely on all devices, including those with a higher pixel density like Apple devices. As to why you are seeing them blurry - I'm not sure why that could be. Perhaps try opening the image link in the cart in a separate tab directly, and see what quality the image displays in. If you right click on the image itself, most browsers should present an option to view it in a new tab.